Excitement mounted last summer when Starbucks announced Bakkt, a cryptocurrency venture with Microsoft and Intercontinental Exchange. Frappuccino fans were frothing that they may finally be allowed to buy their coffee with Bitcoin. Sadly, that was not the case. "It is important to clarify that we are not accepting digital assets at Starbucks. Rather the exchange will convert digital assets like Bitcoin into US dollars, which can be used at Starbucks," a Starbucks spokesperson clarified to Motherboard. "At the current time, we are announcing the launch of trading and conversion of Bitcoin. However, we will continue to talk with customers and regulators as the space evolves." But just because the coffee company curbed cryptocurrency at its cash registers, does that mean your business should, too? Visibility: Bitcoin sales are final and untraceable, which has prompted use of the crypto currency for drug transactions and other illicit sales. 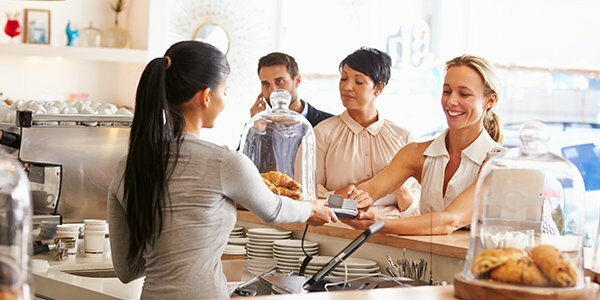 If you do decide that Bitcoin is right for your small biz, know that you also have some creative ways to accept cryptocurrency payments. There are a variety of platforms, exchanges, and "smart wallets" small businesses can use to accept cryptocurrencies. Javvy, Divi Project, and Circle can give you secure and convenient was to handle cryptocurrency payments, and SpectroCoin actually gives customers hard copy debit cards to use at brick-and-mortar locations. Even iPayYou's Bitcoin wallet can be used to purchase coffee and menu items through the Starbucks app. Before adding any cryptocurrency to your small business's payment methods, however, it's best to talk it over with an experienced commercial attorney in your area.